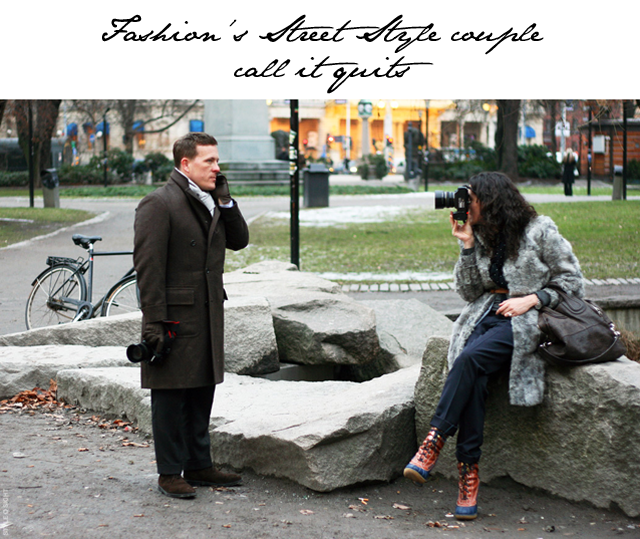 The fashion world was flapping today with the news of the breakup of street style photographers Scott Schuman and Garance Dore. Garance and Scott met at fashion week in 2007 while in Paris, naturally, and have stayed together seven years. The two took to their blogs to make the announcement about the split. Well, I guess there are a lot of PRs out there that will have to rearrange their seating charts for the season ahead. In all seriousness, we're sorry to hear the news of Scott and Garance's split, but happy to hear they have remained friends.